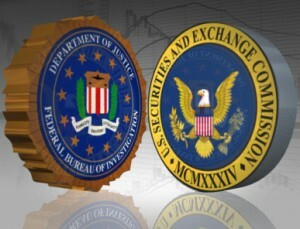 Investor, Bettor, and Golfer Investigated for Insider Trading, Oh My!!! Mr. Mickelson, a three-time winner of the Masters golf tournament and one of the country’s highest-earning athletes, placed his Clorox trade in 2011, the people briefed on the investigation said. Mr. Walters, an owner of golf courses who is often considered the most successful sports bettor in the country, made a similar trade about that time, the people added. Mr. Icahn, a 78-year-old billionaire and one of the best-known investors in the world, was mounting a takeover bid for Clorox around the time that Mr. Mickelson and Mr. Walters placed their trades. The F.B.I. and Securities and Exchange Commission, which are leading the inquiry along with federal prosecutors in Manhattan, are examining whether Mr. Icahn leaked details of his Clorox bid to Mr. Walters, the people briefed on the investigation said. One theory, the people said, is that Mr. Walters might have passed that information to Mr. Mickelson. And so it begins … A bit delayed, but better late than never. The SEC, Securities & Exchange Commission,has charged six former executives of Fannie Mae and Freddie Mac with securities fraud. Get ready for the Enron of the 2010′s. Those who committed fraud and deception upon the people of the United States may finally be held accountable. However, as stated at Michelle Malkin.com, there seem to be some missing from the list … where is former Fannie Mae head and Clinton/Obama pal Franklin Raines? Three former Fannie Mae executives — former Chief Executive Officer Daniel H. Mudd, former Chief Risk Officer Enrico Dallavecchia, and former Executive Vice President of Fannie Mae’s Single Family Mortgage business, Thomas A. Lund — were named in the SEC’s complaint filed in U.S. District Court for the Southern District of New York. The SEC also charged three former Freddie Mac executives — former Chairman of the Board and CEO Richard F. Syron, former Executive Vice President and Chief Business Officer Patricia L. Cook, and former Executive Vice President for the Single Family Guarantee business Donald J. Bisenius — in a separate complaint filed in the same court. Now all we have to do is add Democrats Barney Frank and Christopher Dodd to the list of those who need to be charged with fraud and misleading the public.